Stephanie H. Katz is a senior attorney in the firm’s Capital Markets Group. 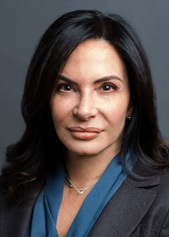 Her practice is primarily in real estate securities, focused on representing investment banks and financial institutions in commercial mortgage-backed and CLO securitization transactions. Prior to joining Cadwalader, Stephanie represented lenders and borrowers in the origination and sale of construction and permanent mortgage loans, including both syndicated and securitized mortgage and mezzanine loans, term loans and other credit facilities, and structuring intercreditor agreements, participations and co-lender agreements. She also has experience representing purchasers and sellers in the acquisition and disposition of commercial real property and representing landlords and tenants in the negotiation of office and retail leases. Stephanie graduated from Barnard College of Columbia University, and received her law degree from the University of San Francisco School of Law. She is admitted to practice in New York, California and the District of Columbia. University of San Francisco, School of Law - J.D.